Newport Beach plastic surgeon, Dr. Ed Domanskis, specializes in breast augmentation surgery for Orange County women who desire larger breasts. Also referred to as breast enlargement or breast enhancement surgery, this is a procedure that places silicone or saline implants within the breasts to make them appear larger. Implants come in various shapes, sizes, textures, and profiles. There are also cases when patients desire a natural filler and will consider a fat transfer instead of artificial implants. We invite you to read more about the options for breast augmentation surgery and to please call our plastic surgery office with further questions. Dr. Domanskis offers women throughout Orange County numerous options for breast augmentation. Depending on the condition of the patient and their specific aesthetic goals, he will recommend either silicone or saline breast implants, a fat transfer, or B-Lite implants, one of the newer and more lightweight implants to enter the market. During the initial consultation, Dr. Domanskis will explain each type and create a personal treatment approach so you can attain the look you desire. "Before having my breast augmentation I consulted with several Plastic Surgeons. Each one had a different suggestion for what I needed. (lift/no lift...etc.) Dr. Domanskis explained in very simple terms exactly what I could expect with each different procedure and together we decided what was right for me. I liked having a choice in MY surgery. I felt comfortable knowing he had so much experience in this procedure. I have been very happy with my results, and I am now considering body contouring to complete my "Mommy Makeover"." 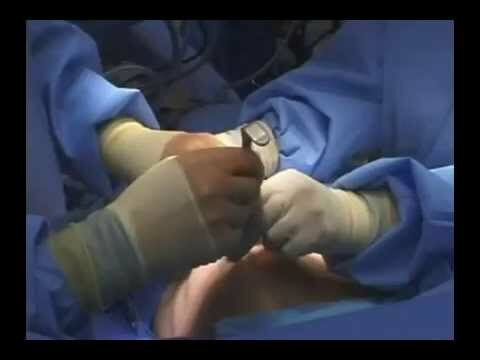 "Dr. D is one of the top surgeons! His experience shows in the work he performs. I waited a very long time for my breast augmentation and he exceeded all of my expectations." "Dear Ed, Thank you so much for taking care of me. I hope you know how much I appreciate the great job you have done. My breast has healed beautifully and life is becoming normal once more. You have a beautiful family." "Breast Implants Were the Best Investment EVER!!! - Newport Beach, CA - Dr. D is one of the top surgeons! His experience shows in the work he performs. I waited a very long time for my breast augmentation and he exceeded all of my expectations." "Breast Augmentation with Domanksis - Newport Beach, CA - Dr. Domanskis was a consumate professional and i wanted to to leave a review on my experience. i was referred to Dr. Domanskis by a family member." Saline implants have always remained a positive choice for patients when deciding what type of implant to use for breast augmentation. Because these implants are filled with a sterile salt water solution, any potential leakage does not pose any threat as the solution is safely absorbed by the body. Saline implants also cost less than the silicone type. One of the disadvantages of saline implants is that in some cases, obvious rippling can appear. This is especially something to consider for women who are thin and have low breast volume tissue. Those who opt for this type of implant must be at least 18 years old. Silicone breast implants are very popular today and are highly recommended by surgeons for patients who are thin and desire a natural look. Since the FDA validated their safety and efficacy, safety concerns surrounding these implants are today almost no different than that of saline. The silicone shell is prefilled with silicone gel and comes in different sizes, shapes and textures. Unlike saline implants in which leakage is absorbed by the body and implant volume visibly flat, it is difficult to tell when a silicone implant ruptures. An MRI is required to detect any rupture. Patients considering silicone implants must be at least 22 years old. Dr. Domanskis is proud to offer Newport Beach patients a new alternative when it comes to breast implant surgery. 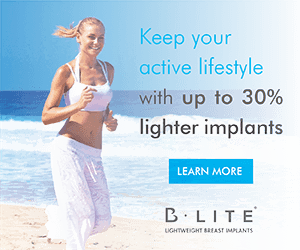 Known for augmenting the breast to all sizes, including extra large shapes, B-Lite allows Dr. Domanskis to offer a lighter weight implant to women who may otherwise not be able to have saline or silicone at a larger size. Up to 30% lighter than traditional implants, B-Lite reduces the gravitational stress that saline or silicone can sometimes create. Not only does this improve comfort, but it also significantly helps keep the breasts in their position decreasing the chance for breast sag over time due to the weight of a larger or heavier implant. All breast implants are made with a shell and a filler. B-Lite uses tiny bonding hollow spheres within standard medical grade silicone. These "microspheres" create a lighter weight implant with the natural enhancement and look of silicone. Dr. Domanskis will discuss B-Lite, as well as the other options for breast augmentation during your private consultation. Costs depend on the implants that will be used. The average fee for saline implants run about $5,000 up to $5,500. Add $1,000 or more when choosing silicone implants. Any additional procedures will add up to the fees.